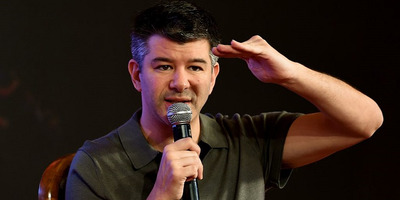 Money Sharma/AFP/Getty ImagesUber founder Travis Kalanick. Uber’s embattled cofounder and ex-CEO Travis Kalanick has found his next gig. The fund will be directly overseen by Kalanick and will focus on the theme of “large scale job creation,” he said in a blog post. He noted that investments will be in both profit and non-profit projects. It’s a big announcement for Kalanick, whose casual management style and lingo have come to epitomize irreverence in Silicon Valley’s startup culture. While Kalanick left Uber under a cloud of controversy, he nonetheless managed to build Uber into a $US69 billion powerhouse, the world’s largest privately held tech company. It’s likely that 10100 is at least partially funded by the $US1.4 billion Kalanick reportedly made selling part of his stake in Uber. Over the past few months I’ve started thinking about what’s next. I’ve begun making investments, joining boards, working with entrepreneurs and non-profits. Today I’m announcing the creation of a fund called 10100 (pronounced ‘ten-one-hundred’), home to my passions, investments, ideas and big bets. It will be overseeing my for-profit investments as well as my non-profit work. The overarching theme will be about large-scale job creation, with investments in real estate, commerce, and emerging innovation in China and India. Our non-profit efforts will initially focus on education and the future of cities.